Renault has added Brazilian racer Caio Collet to its Formula 1's junior programme roster for the 2019 season. The two-litre Formula Renault Northern European Cup will cease after 13 seasons, with its promoter blaming “ill-conceived FIA plans for the future of formula racing” for the series' demise. Fernando Alonso's FA Racing will step up to the Formula Renault Eurocup in the 2019 season, with the McLaren driver's squad already competing in F4, karting and eSports. Renault Sport has followed up on its threat to press on with its Regional Formula 3-style series in 2019, despite losing the FIA World Motor Sport Council vote to an Italian bid. Renault Sport says it is prepared to go ahead with its Europe-wide Regional Formula 3 series for 2019 even if it does not receive FIA blessing. 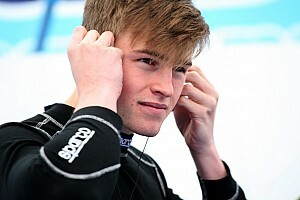 McLaren’s World’s Fastest Gamer runner-up Freek Schothorst will make his Formula Renault Eurocup debut this weekend at the Hungaroring. Renault is planning to scrap its current Eurocup single-seater category and transfer under the FIA’s new Regional Formula 3 umbrella for 2019. Sacha Fenestraz has sealed the 2017 Eurocup Formula Renault 2.0 title with one race to spare in the season finale in Barcelona. 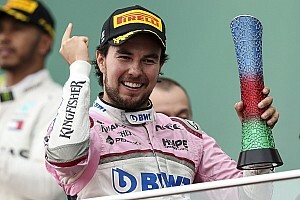 Formula Renault Eurocup front-runner Alex Peroni went one-on-one with Motorsport.com to chat about his plans to add another name to the list of Australian Formula 1 drivers. Brad Dias will compete in the final round of the Asian Formula Renault this weekend, at Zhuhai International Circuit. Sacha Fenestraz was victorious in the season finale of Eurocup Formula Renault 2.0 at Estoril, while Lando Norris collected the 12th podium of his title-winning campaign. Will Palmer took his maiden Eurocup Formula Renault 2.0 win in a dramatic race at Estoril after leading duo Lando Norris and Max Defourny collided on the final lap. 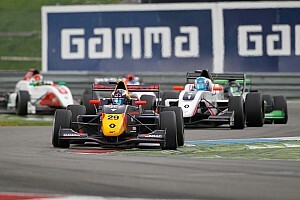 Lando Norris took his third single-seater title of 2016 in the Formula Renault NEC 2.0 series in the season finale at Hockenheim, after prior success in Toyota Racing Series and Eurocup 2.0. Dorian Boccolacci took his second win of the Eurocup Formula Renault 2.0 season at Spa-Francorchamps, beating newly crowned champion Lando Norris. Hugo de Sadeleer took his maiden Eurocup Formula Renault 2.0 win in Race 1 at Spa-Francorchamps, leading a Tech 1 Racing 1-2. Josef Kaufmann Racing duo Robert Shwartzman and Lando Norris claimed wins in Race 1 and Race 2 respectively in the Nurburgring Formula Renault 2.0 NEC weekend. Jehan Daruvala says he is honoured to be inducted in the British Racing Drivers' Club (BRDC) Rising Stars programme. 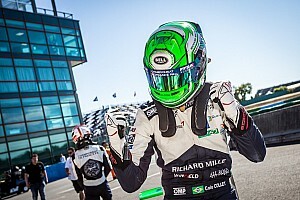 Lando Norris controlled Race 2 of the Formula Renault 2.0 Eurocup weekend at Paul Ricard, sealing the Rookie title with four races remaining in the season.